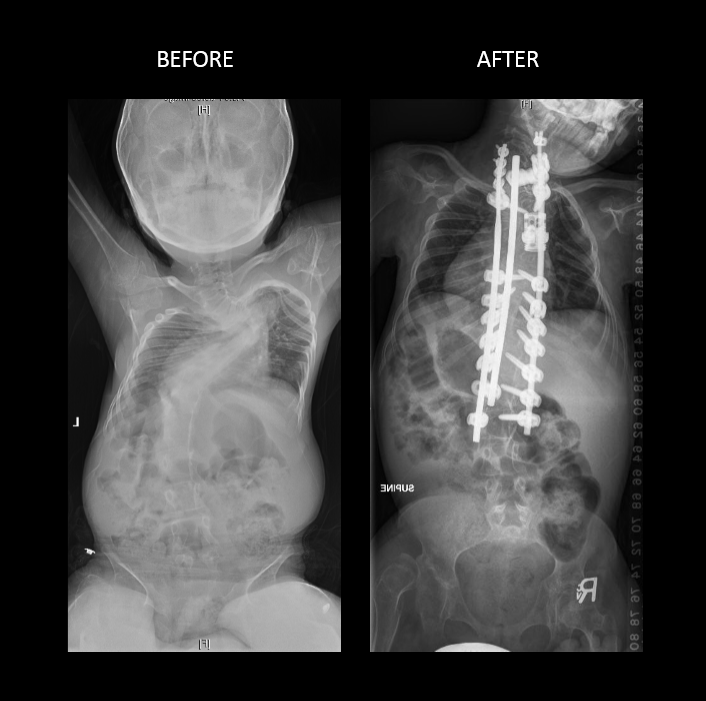 Njood was an 11 year old international patient who presented to us with a large curve of 100 degrees of thoracic scoliosis and 100 degrees of kyphosis. Her MRI showed changes to the spinal cord and she was developing progressive weakness to her lower extremities. Her pulmonary status was also declining. They came to our hospital for help with this difficult case. After discussion the parents wished to proceed forward with surgery. 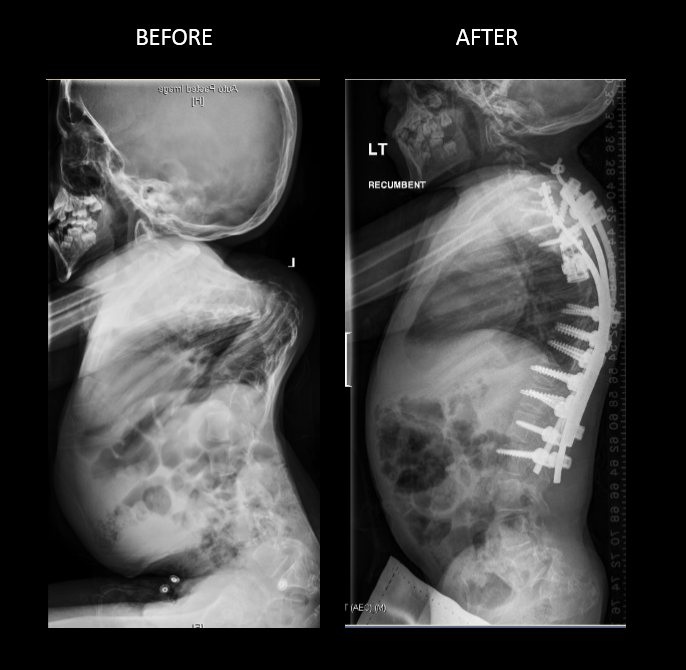 It was decided to do this as a combined approach with a Pediatric Neurosurgeon and Pediatric Plastic Surgeon to optimize her care in this difficult case. It was also decided to do this in a multi stage approach to decrease the risks. We started with halo traction for several weeks in the hospital. This is to try and decrease the curve slowly over a period of time. Then we took her back to the operating room to do the 2nd stage of the procedure which included osteotomies. The 3rd stage consisted of vertebral column resections. She recovered well in the hospital and then transitioned to an inpatient rehab facility to continue the optimization of her care while here in the US. We just saw her back for her one month follow up after the surgery and she is doing well. We are very happy with her results.